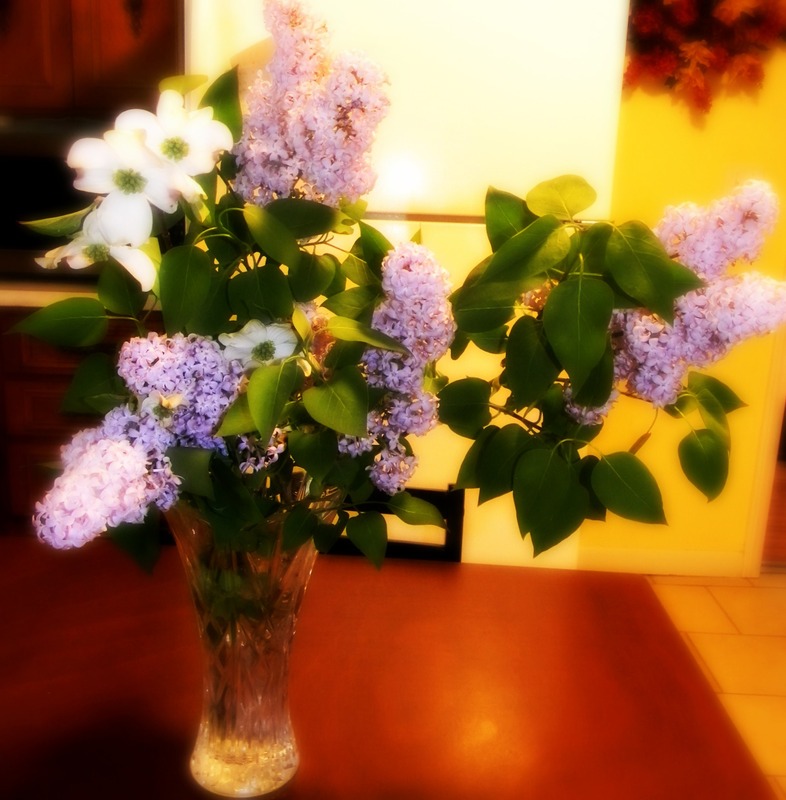 Had to bring these lilacs into the kitchen! Fill deep skillet (chicken fryer) halfway with vegetable oil. Heat on medium high. Whisk egg and milk together. In a long shallow container (like a baking dish) mix Sazon, flour, cornmeal, and bread crumbs together. Season each leg or pair of legs with Adobo. Dip in egg mixture; dredge in flour mixture. Repeat both steps. Fry until golden brown. This entry was posted in Uncategorized on April 22, 2013 by theselftaughtcook2.